Patient focused and results driven, Dr. Adam Singleton brings his patients the best in facial plastic surgery. Dr. Singleton is fellowship trained and offers his patients the latest techniques, honed through years of careful training. He specializes in cosmetic procedures for the face including facelift, rhinoplasty, dermal fillers, and laser resurfacing.Dr. Singleton is deeply involved in every aspect of patient care at Capital Facial Plastic Surgery. From the initial consult to follow-up appointments, and even injectable treatments, patients see Dr. Singleton at each and every visit. We realize that the surgeon is the heart and soul of a facial plastic surgery practice and want our patients to develop a direct relationship with their surgeon. Dr. Singleton takes the time to listen to his patients and enjoys helping them achieve their ideal facial appearance.Dr. Singleton wants his patients to feel valued, respected, and important because they truly are. 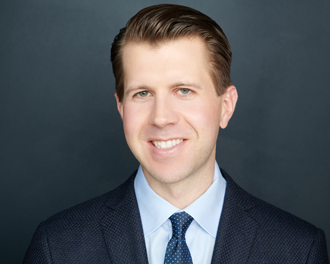 His focus on patient care and impeccable service makes his facial cosmetic surgery practice a favorite for patients living in the Washington, D.C. area. Beauty and function are essential characteristics of an ideal nose. Dr. Singleton has a passion for rhinoplasty and provides beautiful, natural-looking cosmetic and functional rhinoplasty results at his facial plastic surgery practice. 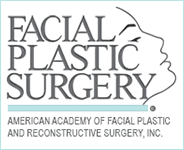 Quality facial plastic surgery results are built on a foundation of valuable surgical training. Dr. Singleton is fellowship trained, one of the most advanced options for plastic surgery training available. After medical school (4 years) and residency (5 years) most doctors go into practice. Some seek further training through a fellowship.Fellowship training is an in-depth exploration of a specific medical specialty, turning a general doctor into a specialist. Fellows are trained directly under medical industry leaders, learning from the top doctors in each specific medical field. Fellowships are incredibly competitive and difficult to obtain. They help foster exceptional training and medical expertise in the next generation of talent. Fellowship trained surgeons have more training than many doctors and surgeons in practice.With his wealth of expertise and fellowship training in facial cosmetic surgery, Dr. Singleton brings his patients the latest skills and medical innovations in the plastic surgery field.